Organic farming waste can have a detrimental impact on the water quality. Managing the world’s most valuable resource on earth should be our number one responsibility. 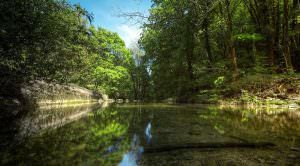 HidnSeek has developed an IoT solution measuring real-time nitrates level in rivers, to assist authorities and environmental experts to anticipate pollution risk. Traditionally, samples are collected daily and sent to the Lab for analysis, taking days or even weeks to turnaround results. analysis directly from the source to the screen in real time. The challenge for this project was to analyse real-time nitrates levels in the water stream over ultra-long operating hours. Increasing sampling and broadcasting to the cloud was a key factor in the solution to influence agricultural practices through pro-active response. Over the past few years the number of drones in circulation have significantly increased. 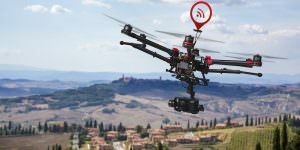 The DGAC (Direction Générale de l’Aviation Civile) with the support of an expert committee (GT ID Drone) now aim to define a framework for drone safety and security. Stéphane Driussi CTO HidnSeek has been a contributor to the GT ID Drone working group since it’s infancy. HidnSeek has developed DroneRescue to offer both regulatory authorities and drone users the ability to fly safely among the general public.This initiative has been independantly recognised as a key enabler for drone safety and security which led to HidnSeek winning the best M2M (machine to machine) mobility innovation contest named trophée des objets connectés. 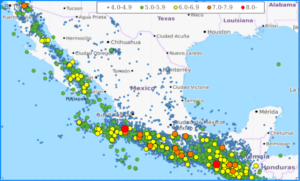 Mexico is no stranger to earthquakes, sitting on several intersecting tectonic plates, putting the region as one of the top in the world in terms of seismic activity. There have been over 30 earthquakes bigger than magnitude-7 recorded within 300 miles of Mexico city’s region since 1900. Despite the presence of earthquake early warning systems, hundreds of people have died as there has been little time to prepare for the imminent tremors. The National Seismological Service registers and records in real time, all seismic activity using seismographers, each costing in excess of 20,000 USD each. The high cost of the seismographers inhibits the number of sensors deployed in the region and ultimately reduces the coverage that sensors can monitor and alert, which in turn creates one of the biggest challenges in detecting seismic activity. The Sigfox Foundation has got involved in a new seismic alert initiative “Seconds To Save Lives” with the goal to develop a low cost IoT solution, to enhance detection, distribute geolocalized alerts and generate prediction models to forecast seismic events. HidnSeek is very proud to partnership with the Foundation in delivering an open source Low Power Sensor to locate and detect seismic activity. HidnSeek’s solution will enable talented coders from 42SILICON VALLEY, an innovating engineering school based in the San Francisco and a team of data scientists, based in California, to develop algorithms to build earthquake prediction models. 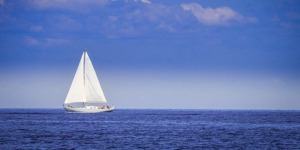 Satellite trackers with their high-cost satellite fees, are too expensive for the average boater, and are both limited in coverage and power efficiency when they are based on the GSM technology. On the other hand, DigiTraq PV has demonstrated its ability to broadcast GPS coordinates over ultra-long distance from the shore and currently holds the world record for relaying a GPS position over a distance of 981Km. We’ve integrated DigiTraq PV with Swail a beautiful platform aiming to open up the digital sea to give its customers the opportunity to follow their friends’ boats as well as famous racing boats. DigiTraq PV’s open API’s allows 3rd party integration therefore it was very easy for Swail to add the HidnSeek’s trackers to their platform and to benefit from the unlimited power and connectivity. We design and build innovative IoT solutions and integrate our technology with third party products.